You're one step away from downloading. Please fill out the form below. 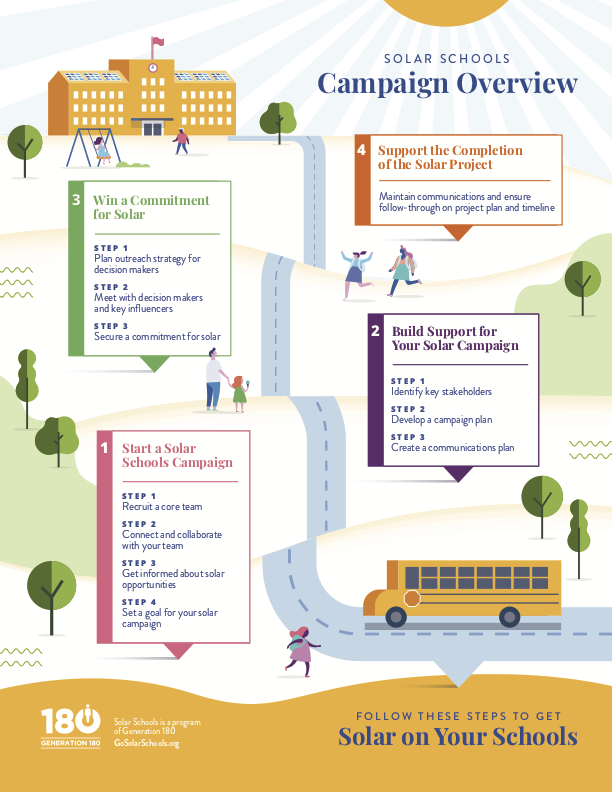 A visual roadmap laying out the path you'll take in your campaign to advocate for solar at your schools. 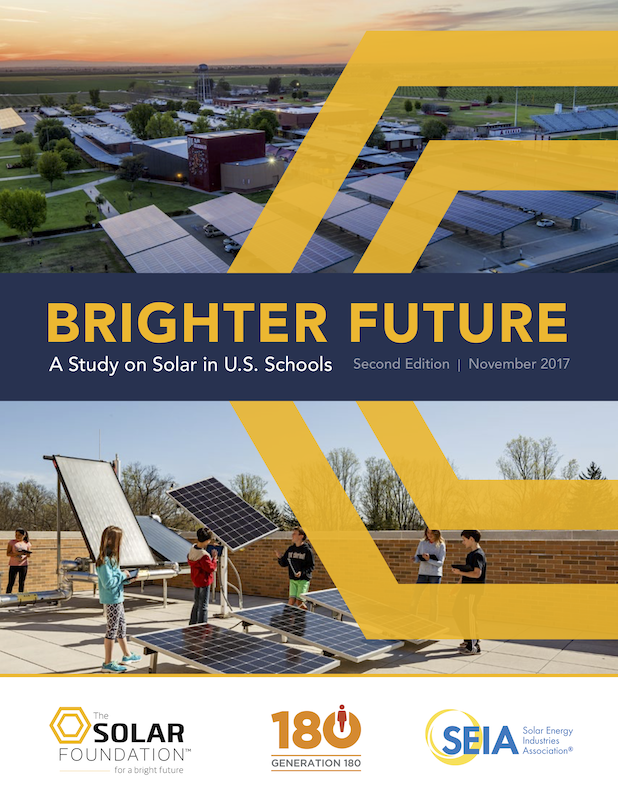 The report includes a comprehensive study and census of nationwide solar schools, as well as the top reasons schools are going solar and the biggest challenges schools face. You're one step away! Complete the form below to download. 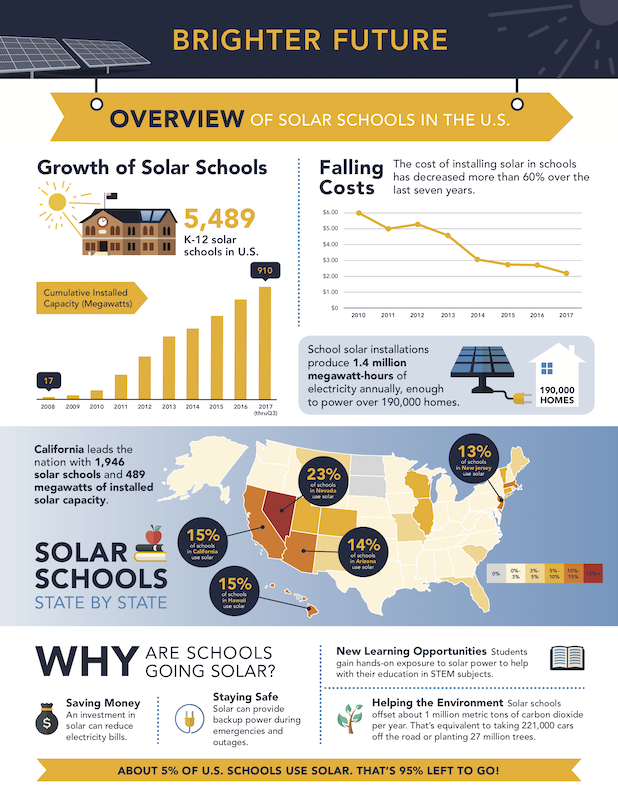 This infographic shares key takeaways and statistics from the report and a summary of the first steps for schools going solar. 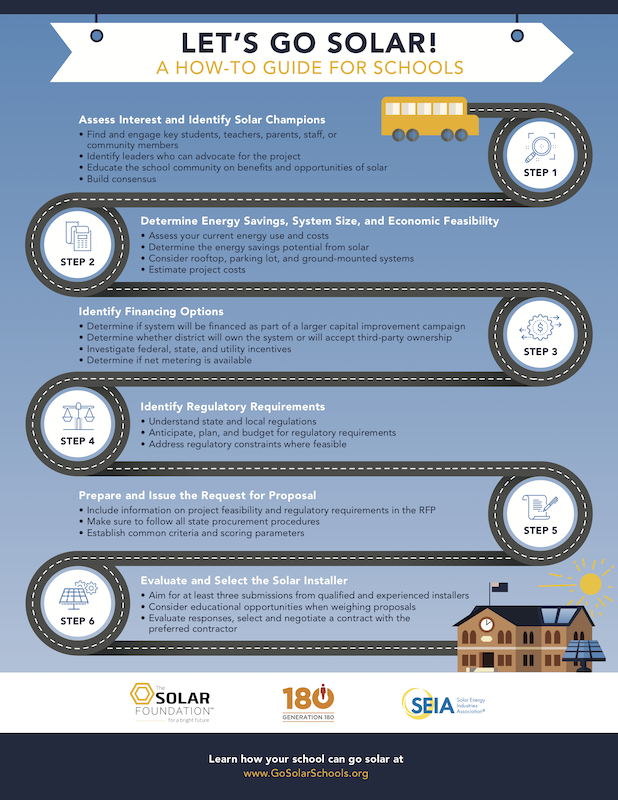 This infographic summarizes the six steps schools take leading up to the installation of a solar project. 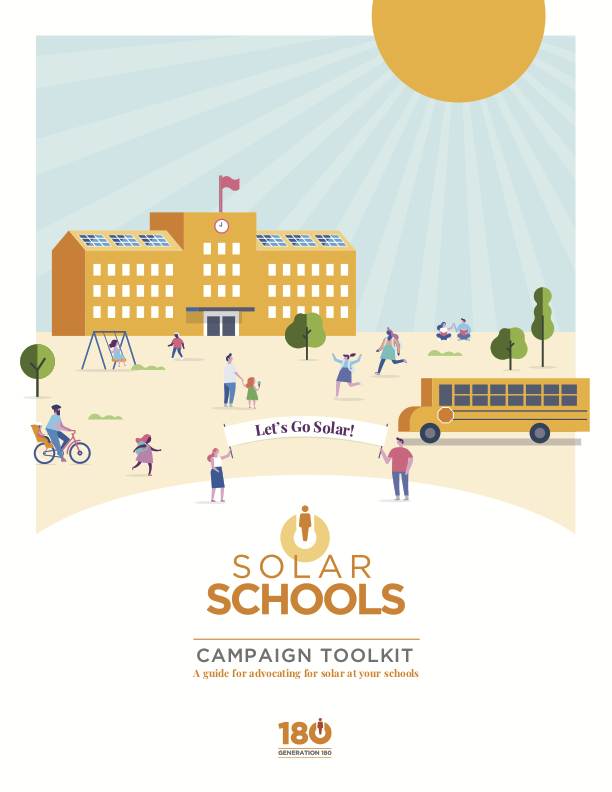 State Energy Conservaiton Office : Renewable energy lesson plans. A comprehensive source of information on incentives and policies that support renewables and energy efficiency in the United States. As the national trade association of the U.S. solar energy industry, SEIA is building a strong solar industry to power America through advocacy and education. Solar Forward program offering solar development support in rural communities. 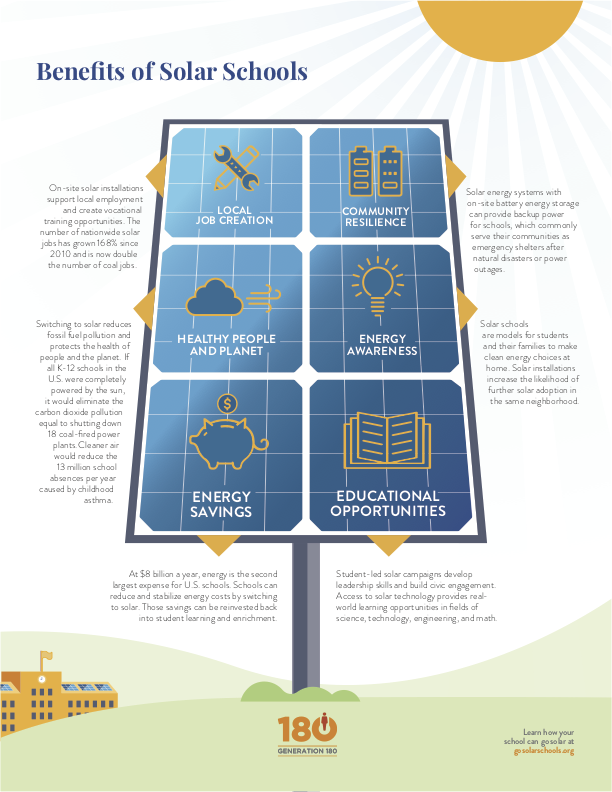 SolarOPs helps accelerate solar energy adoption on the local level by providing best practices, resources, and technical assistance to local governments. Electric Buses, Healthy Kids campaign — "We can protect kids' health, reduce climate pollution, and have cleaner communities with electric buses." Online educator library with teacher-generated STEM activities and renewable energy science materials. 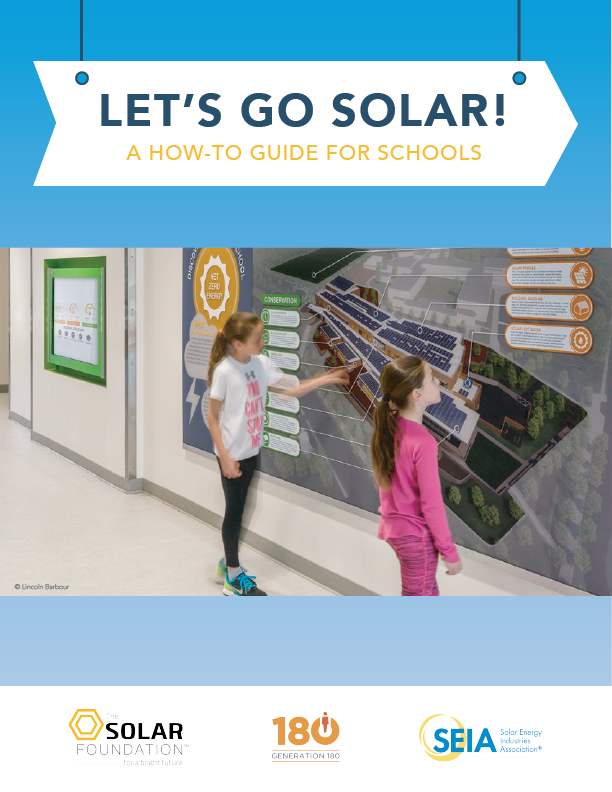 Resources for giving presentations to young students about solar and renewable energy, solar jobs, and energy conservation. Energy curricula, resources, events, and trainings for educators. Resources for learners to creatively explore wind and solar power. Energy Kids: Information, activities, calculators, and teacher resources.